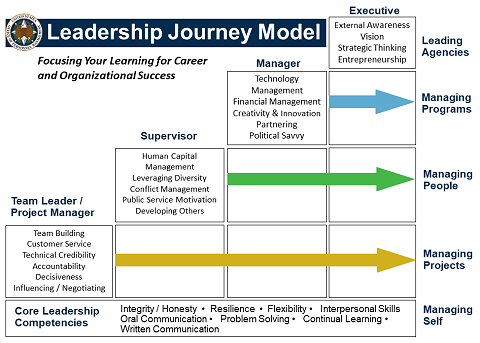 OPM's Center for Leadership Development (CLD) is dedicated to transforming leaders to better serve the Federal government. We offer educational programs built on the ECQs for every stage of your career. As the government designated provider of agency, interagency and tri-sector leadership development, we offer government-to-government educational courses, certificate programs, tailored solutions and technology systems by USALearning to respond to your immediate challenges and emerging needs. Our innovative services are delivered through e-Learning, in classroom settings, at our residential centers of the Federal Executive Institute (FEI) in Charlottesville, VA, the Eastern Management Development Center (EMDC) in Washington, DC and the Western Management Development Center (WMDC) in Denver, CO, your home agency, and locations across the United States.